Click link for the printable pdf with all the details. Coming up February 21, 11 AM. Tickets are only $10.25 and parking is free! Many parents struggle with getting their kids interested in different subjects; for some, it’s math or science, while others have a hard time relating to the arts. All types of learning are important for kids, but for children who are living with a disability, being able to express feelings and ideas through creative endeavors is essential. That’s why it’s so important to help your child get interested in the arts, whether it’s dance, music, drawing or painting, or theater. Many children who are diagnosed with a learning disability simply need to find different ways to take in information or to get their ideas across. 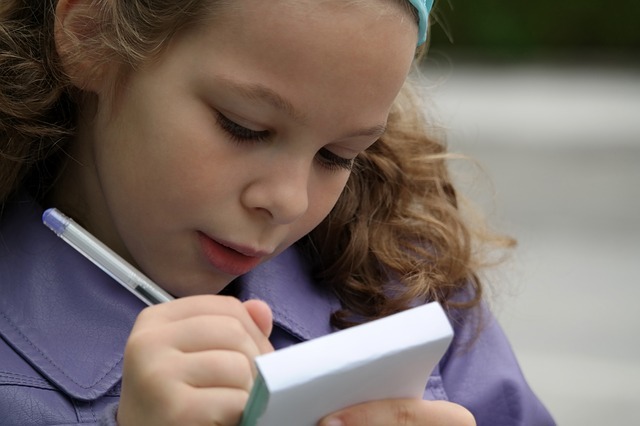 Creative pursuits of all kinds can help your child find new forms of expression, reduce stress and anxiety, and learn how to perform better in school. 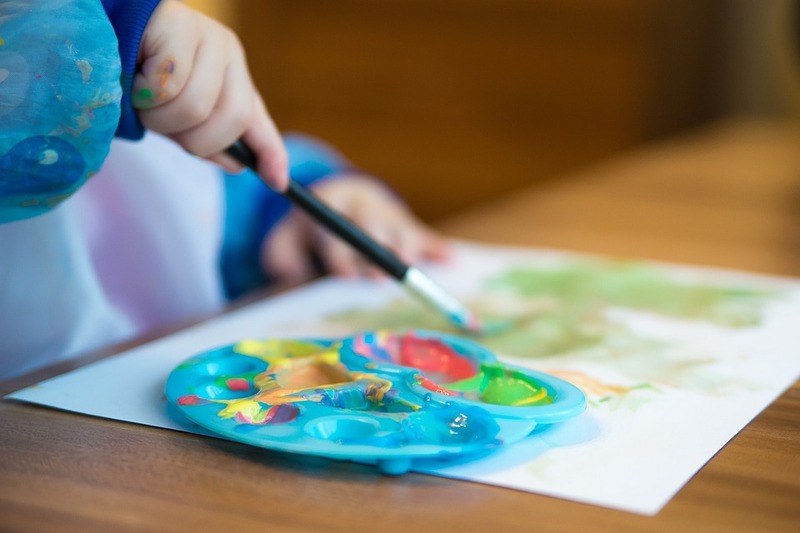 There are several ways you can introduce the arts to your child at home, and many of them are fun for the entire family. Keep reading for some tips on how to help your child with a learning disability get involved in the arts. Creating a space dedicated to arts, crafts, and other hobbies will help your child feel safe and comfortable, and will reduce distractions. Set up a table and get organized by using bins with deep drawers to hold glitter, crayons, paint, markers, scissors, glue, yarn, and pieces of fabric. If you’re able to utilize an entire room for hobbying, paint the walls with easy-to-clean glossy paint, or use chalkboard paint on one wall to encourage spontaneous creativity. Designate a special area just for displaying your child’s artwork so he’ll stay motivated to keep making things. Sewing is a great pastime for kids; it’s a calm, quiet activity that requires focus and concentration, and it can help build up strength in both those areas. It also requires patience. Sewing and textile crafts will allow your child to get creative while learning how to practice mindfulness, which reduces stress and anxiety. As long as your child is old enough to work with needles and scissors, look for some projects he can do with fabric and thread. It doesn’t have to be a traditional sewing craft; for instance, you can have him draw a simple picture on a canvas and use a needle and thread to fill it in. For more great tips and resources on sewing projects, click here. Most kids like to have some variety when it comes to their hobbies, especially if they get bored easily. Look for several different kinds of creative activities and allow your child to try a few to see which ones he likes best. Some kids are great at making art but just aren’t that into it; others love music but aren’t sure if they would rather sing, play an instrument, or dance. Giving your child some creative freedom will allow him to find the thing that makes him feel most alive. Many kids with learning disabilities struggle in school because they feel bored or unchallenged by the curriculum, or because they are frustrated by their inability to comprehend the material. You can help make learning fun by incorporating creativity and educational lessons; for instance, let your child help you in the kitchen. Talk about measuring, chemical reactions, and following a recipe while baking cupcakes, then let him decorate the finished product any way he wants. Millions of kids in the U.S. live with a learning disability, and not all of them are diagnosed. It can be difficult for most children to identify these issues in themselves, leaving them frustrated and unfulfilled in school. Helping your child find new ways to express himself will help him now and for years to come. Most museums in the modern age boast apps that act as virtual tour guides through the museum. These apps might have additional information on each exhibit, supplemental resources to learn more about the exhibits, or fun little games to play to include younger children. In fact, some apps will even allow you to take a virtual tour of a museum without leaving your home. By using these supplemental apps, you make the process of learning about the exhibits an exciting, interactive adventure. Your kids will be thrilled to be allowed to hold your phone or table and wander through the museum, accessing information on their own. Most children and even adults find lecture-based learning dull. And while there are a many fun and creative ways to make learning engaging for kids, nothing quite beats hands-on learning experience offered by visiting a museum. For example, many museums that incorporate dinosaurs will include a sandbox that allows children to dig for fossils. What could be better than spending an afternoon pretending to be an archaeologist, complete with rocks, dirt, and all the tools of the trade? A museum volunteer may even bring out a real fossil for children to view up close. This sort of learning teaches children that education does not have to mean sitting quietly, listening to an adult talk about a topic for an hour or more. They will begin to associate their impending education with exciting, hands-on activities that will allow them to get up close and personal with a variety of topics that interest them. In fact, adults may learn a thing or two about educating kids through a trip to the museum. Kids want to emulate the adults in their lives, and taking a family trip to a museum will allow your children to witness adults learning and having fun at the same time. Museums are fascinating for people of all ages, making them an ideal opportunity for learning by example. Furthermore, museums house all kinds of information. Whether you spend a day learning about art history or the evolution of humanity, your kids will find themselves exposed to new and exciting information that piques not only their interest but their parents’ as well. It is never too early to teach your kids how fun learning can be. If you teach your children that museums are an exciting treat, they will learn that education is fun. Furthermore, museums of all kinds make for fun, wholesome family outings that engage all ages. Everybody loves learning new things, particularly when you get an up-close or hands-on experience. If you find it difficult to get everyone out of the house, you might consider downloading a museum app and allowing your kids to take a virtual tour of a famous museum. In the modern age, the possibilities are endless. please save the date for the following programs at the West Chicago Library! Stronghold Camp & Retreat Center‘s new Executive Director, Dr. Danny Pierce would like to invite your home school group to Stronghold for outdoor education, team building courses and to tour our castle. Dr. Pierce recently came to Stronghold after being a professor in Outdoor Education and Physical Recreation in Tennessee. For years, Stronghold has proudly offered a flexible curriculum to meet every class’ needs and desires. Stronghold’s outdoor education curriculum, supported by challenge education and field experience, helps young people to discover their role in the ecosystem. The outdoor education program is experience based, offering a balance of physical activities and academic exercises. Topics can include Nature and the Arts, Astronomy, Field Science, Birds of Prey, Water/Soil Conservation, Geology, and Orienteering with Maps and Compass, and many more. The curriculum is tailored to meet your class/objectives and meets Illinois State Learning Standards in all seven areas: language arts, math, science, fine arts, social studies, foreign language, and physical education. Our professional staff will help you to create a multiple-day schedule specifically designed to meet your curricular needs. There are 20 classes from which you can choose. A few of our featured topics include astronomy, field science, bird and animal studies, water and soil conservation, and map and compass use, plus cooperative games and teambuilding. Day programs are also available. Lodging options for your students and staff include wooded retreat lodges, campsites, or the Castle. Our dining room provides a variety of child-friendly entrees, including meatless options for lunch and dinner, along with soup and salad bar and dessert choices. Beverage bar with milk, juices, hot cocoa, coffee, and tea is available during all meals. Breakfast includes hot and cold cereals, fresh fruit, and egg and meat selections. Dietary restrictions are easily accommodated with advance notice. Prepared sack lunches containing a sandwich, fruit and dessert are available from the Stronghold kitchen. Beverage service can be arranged. Stronghold offers an outdoor education experience designed specifically for you and your students! Located in Oregon, Illinois, the beauty of nature exists in a variety of environments, all along bluffs overlooking the Rock River. City Colleges of Chicago can put you on a path to a successful career with an education that works—without all of the debt. Learn more at our Fall Open House on Wednesday, April 13 at our seven college locations. ​We will hold two sessions to fit your schedule: 10 a.m. – 12 p.m.​ and 6 p.m. – 8 p.m.
Visit the college that serves your College to Careers interest. Not sure which College to Careers program to select, use City Colleges’ Program Finder to learn more about career possibilities and the skills needed to succeed. Interested in pursuing a bachelor’s degree? Starting your higher education journey at City Colleges of Chicago can save you up to $40,000. City Colleges partners with four-year colleges and universities to maximize your transfer credit. If you have any questions, please contact 773-COLLEGE. We want to invite all the home-school volleyball players out there (ages 10-18) to a couple hours of volleyball training from 9-11 A.M. Saturday, March 26, 2016 at Village Bible Church (847 N. Rt. 47 in Sugar Grove). It will be an All-Skills Clinic, run by Coach Kathy Evers. We will be covering passing, setting, and hitting and get some scrimmage time in. Please RSVP to Kathy Evers, eversbirth3@gmail.com, if you are able to attend. There is no cost for the clinic. If you have any questions please contact Kathy Evers. Most kids have peered up into the branches of a tree and seen a bird’s nest, but they may not realize just how much work the construction of one requires. Having them construct their own is a fun way to experiment, explore building materials, and gain insight into the amazing world of birds to appreciate some of nature’s most clever builders! Start by going on a nature walk in a wooded area to get a real look at birds’ nests up close, being mindful not to touch or disturb them. Look closely and make a list of all the materials you observe: twigs, straw, leaves, grass, etc. Look out for any man-made materials — birds often use newspaper and stray pieces of cotton or cloth they’ve found to cozy up their homes. Next, have the kids gather the kinds of materials they saw used in nests during the nature walk. Make sure there are enough supplies for everyone to build. Don’t forget a small bucket of mud to help hold the pieces together! Head inside and give everyone workspace protected with newspaper. Have the kids use the materials to construct their own bird’s nest. Help them test to ensure they’re sturdy and hold together. Test them out by placing them outside in tree branches, a hidden corner of the fence, or anywhere else they think a bird may want to call home. Discuss what materials made the strongest nests, what extra substances they added for insulation or camouflage, and all the trials and error involved in the process. Kids may understand the three states of matter: gas, liquid, and solid. But, they may not realize that there is a strange fluid, called Oobleck, which is a solid and a liquid. You’ll begin by making thick Oobleck with two cups of cornstarch and one cup of water. Allow kids to play with the Oobleck for a bit to realize that when it relaxes it is a liquid, but when they push on it or move it quickly it becomes a solid. Now is a good time to talk about why the Oobleck changes its state; it is a pressure-dependent substance, like quicksand, that is a liquid when it moves slowly because the cornstarch particles have time to separate but a solid when it moves quickly because the particles are forced together. To begin the Dancing Oobleck experiment, you’ll need a subwoofer, a thin metal cookie sheet with sides, an MP3 of an audio test tone, and food coloring. Place the cookie sheet onto the subwoofer’s speaker and pour in the Oobleck. Search online for Subwoofer test MP3s. Experiment with various tones to see which works best, and be prepared to turn the volume up fairly high. (The three frequencies that typically work the best are 40Hz, 50 Hz, and 63 Hz.) Kids should make observations of the Oobleck at each frequency. If you don’t mind a bit of a mess, or stained kids’ fingers, allow kids to add a few dots of food coloring to the Oobleck and test the frequencies again. It is fun to see how the colors mix and it helps kids visualize the ways in which the Oobleck moves by watching the colors mix and form shapes. There are all kinds of science careers that revolve around animals, but do your kids know about their options? After they’ve written their stories, ask them to present to them. Have them explain why they chose that career and then read their story aloud. Would they interact with animals directly? What kind of skills are required? Did the research live up to the initial idea they had of the career, or was it different? Building a bird’s nest, dancing Oobleck, and picking animal-based careers are just a few lessons that will excite kids who love science. Challenging kids who love science with lessons and experiments like these, which take their assumptions and basic knowledge to the next level, is a great way to get them to love science even more. Jamie Strand loved being homeschooled. Today, he teaches at a local community college. He created SciCamps.org with a friend in order to make it easier for kids throughout the U.S. to find science and math camps in their area. In addition to teaching, Jamie loves spending time with his wife and young daughters. 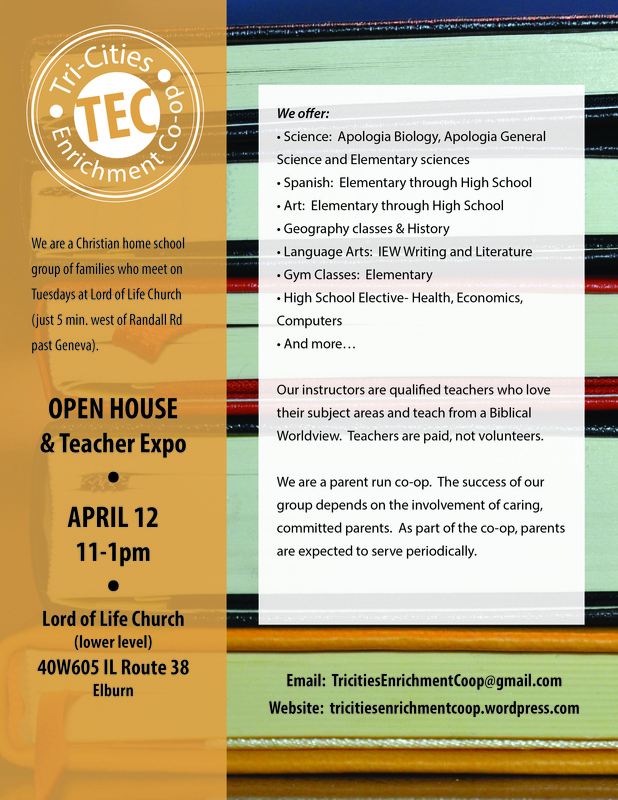 enthusiastically welcomes homeschool students to our program!